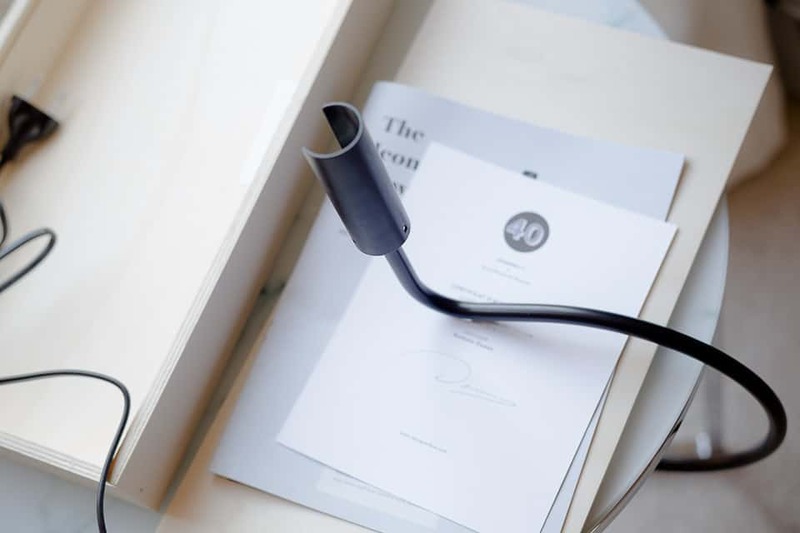 The unique idea for Designer Box is an exciting subscription service which allows you the opportunity to fill your home with monthly designer home accessories and decor very carefully chosen and designed from designers all over Europe. 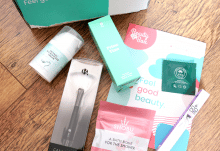 The beauty of this unique subscription box is that each month will be a total surprise to add to your home, what you do expect is that each item will be exclusive to Designer Box and come with a certificate of authenticity. Even the wooden box which the items are housed in are beautiful and so useful too as you can use them for storage as well as to display your item. 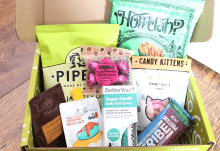 You can choose from 3, 6 or 12 months to subscribe to Designer Box and the plans start at £29 per month. Every box is numbered and this number will correspond to the relevant designer and their exclusive item and as I have said the wooden boxes themselves have multiple uses which is a huge bonus too. 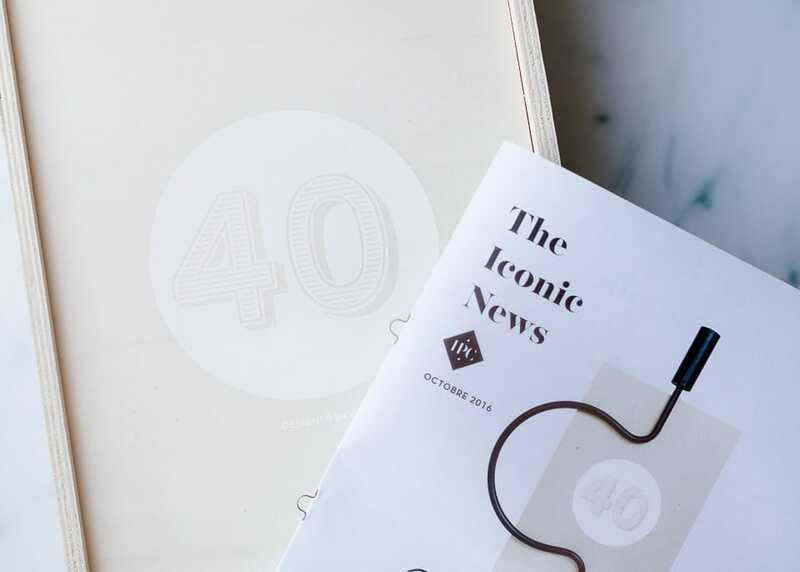 This subscription service is ideal to widen your own home accessory or home decor collection with very unique and exclusive items from European designers which showcase their finest works. 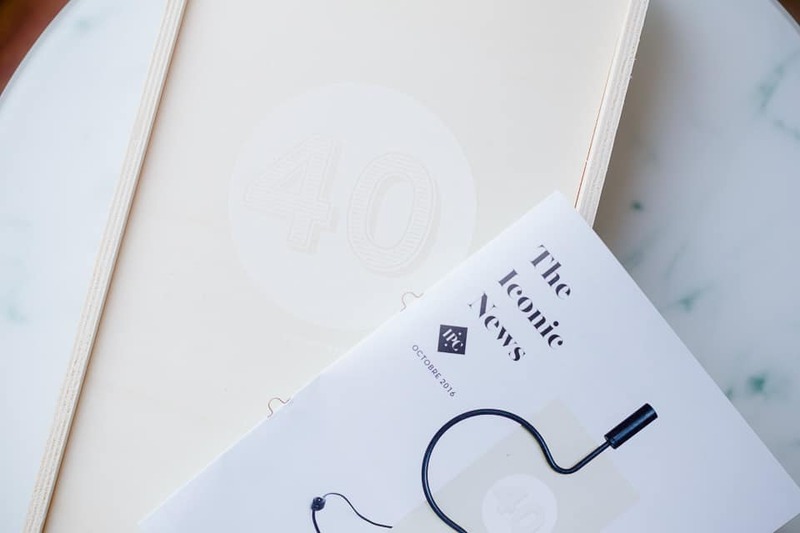 Included in each Designer Box as well as the box itself and the designer item is a copy of The Iconic News which has all the latest news and inspiration about the current home decor world as well as detailed information about the designer and the piece included. Many of the boxes will also include an exclusive art print to frame and display in your home or another unique piece to display. 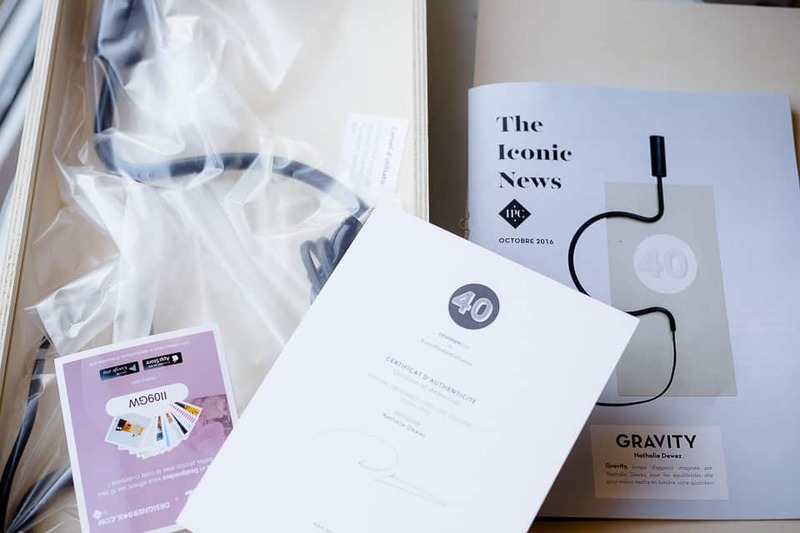 The latest Designer Box is Number 40 ‘Gravity’ designed by Belgian designer Nathalie Dewez, a unique and exclusive light to brighten up an home space while adding a very unique style. 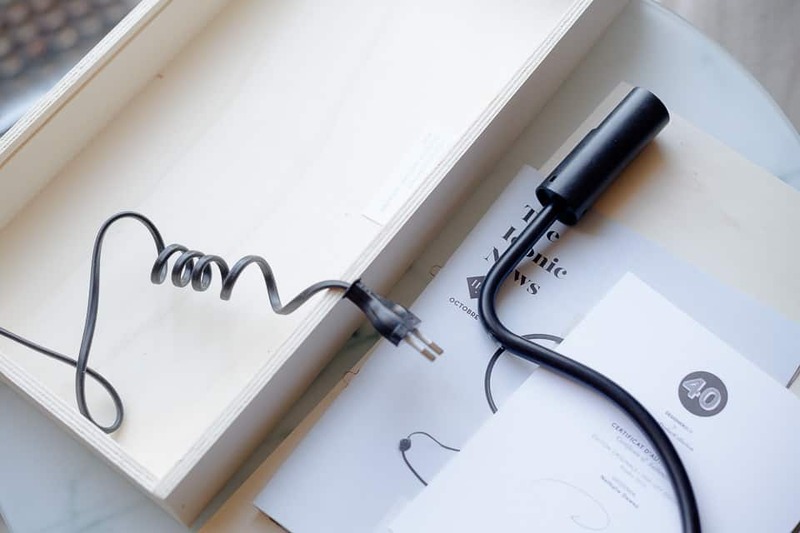 The accent light from Nathalie Dewez is far from any traditional lamp in many homes as it has a very unique design and balance hence the name “Gravity’. Playing on balance as well as function Nathalie Dewez took inspiration from children’s toys which traditionally are a mixture of simplicity as well as a fun aspect. It certainly is the most unusual accent light I have seen and that is it’s beauty for me as it’s simple, clever design makes it so eye catching and it’s exclusivity means you will have such a unique light rather than the run of the mill shop bought lights. This box is a great example of why the Designer Box service is so popular as it adds an element of unique designer style to the home and the beauty is you can add one piece every month without having to even leave the comfort of your own home. An ideal subscription box for someone who has an eye for design and is looking to add stylish items to the home. A monthly designer subscription box to increase any home accessory collection. How would you rate Designer Box ?